Inspired by the cult classic film, ‘Life of Brian’, this naughty pale ale is something different for you to enjoy at Christmas. 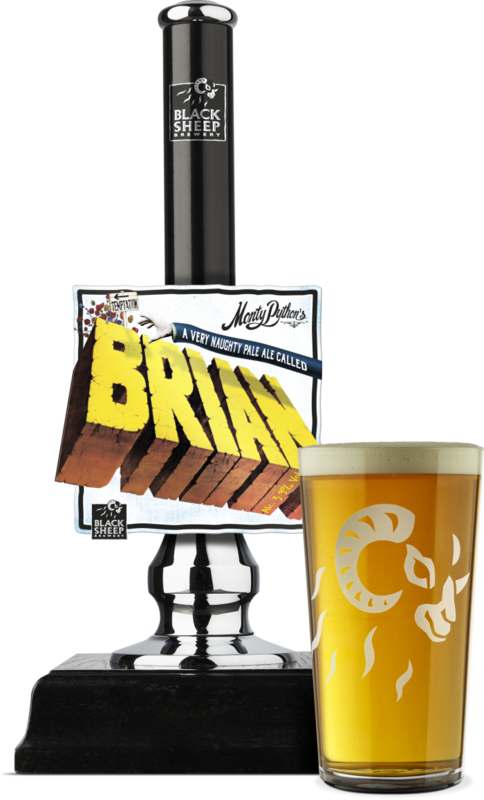 An official beer of Monty Python, Brian is a beautifully balanced, crisp pale ale with a spiky hop bitterness and light malty base. Michael Palin, the legend himself, had a hand in creating our new Christmas ale as he inspired us to use the phrase ‘A very naughty pale ale’ alongside the beer’s name as he had said “I’d quite like to see ‘naughty’ on a beer bottle”. It was named Brian following a Facebook vote amongst Monty Python’s 1.2 million followers in 2016. Whatever happens, always look on the bright side of life! Light malt with a touch of inviting citrus. A crisp bitterness with floral hoppy notes throughout. A touch of malt at the back end adds a subtle sweetness. Sapm, spam, spam and spam!